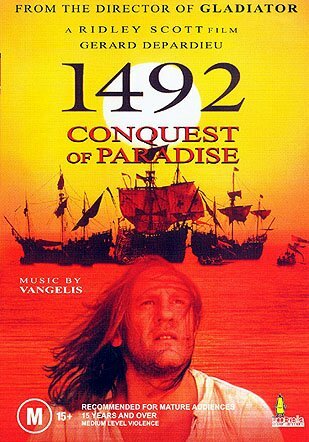 There is a great deal of music in this movie that is not on the officially released soundtrack, and visa versa. 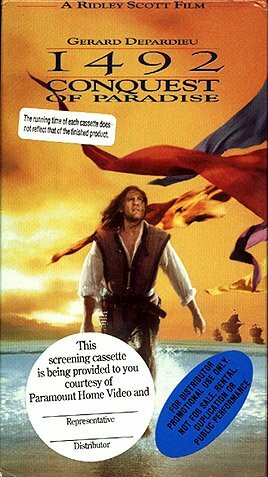 Some of the themes in this film just blow me away, and I wish that they would have been included on the CD, but I am just glad to have this in any form. 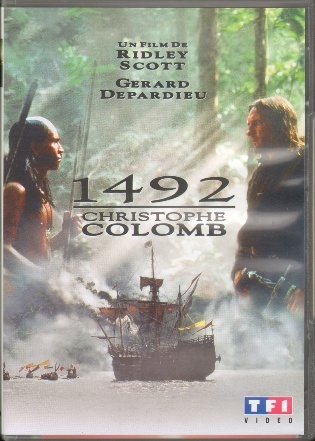 Something else should be said about differing versions. 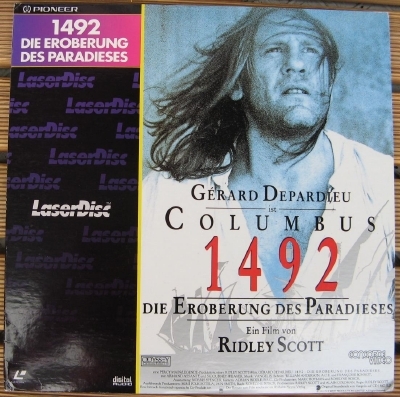 The USA version is slightly different than all the others I have seen. 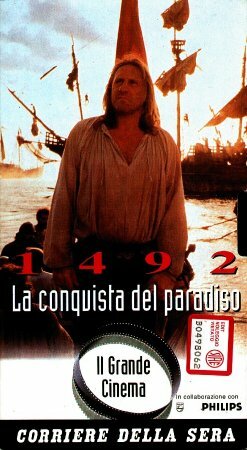 There is about 5 minutes less footage on the USA version, and I do not know why. 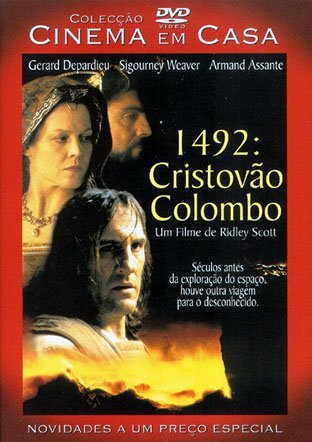 There is a scene where Alonzo gets killed by a snake that is missing, as well as a scene in which Columbus tells his girlfriend that he is sending their two sons to live with the Queen, as well as little pieces of violences. 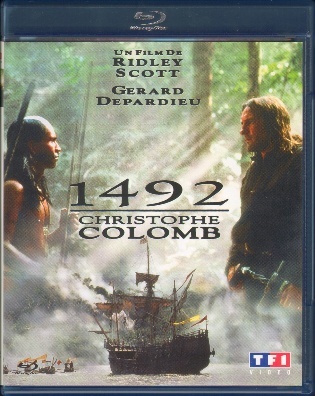 The film has slowly been released in a variety of countries on DVD, none with an exceptional transfer. 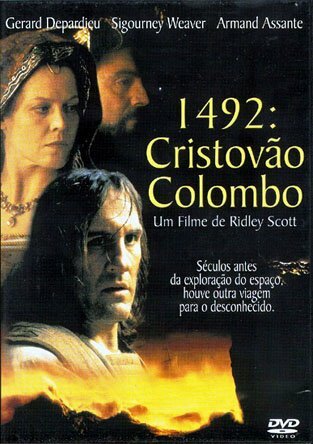 It has not been released in the USA, but Ridley Scott has stated in interviews that he is working on his past films, so perhaps there will be a special edition someday. 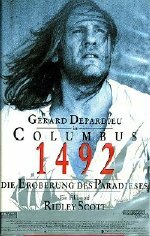 [Thanks to Lightnet Media for the scan of the Spanish videocassette cover, to Marek Jaskólski for the scans of the Polish DVDs, to Franco Lo Schiavo for the scan of the Italian videocassette cover and to Reinhard Teibl-Beckmann for the scans of the 2 Brazilian DVDs, the German DVD and the German laserdisc]. 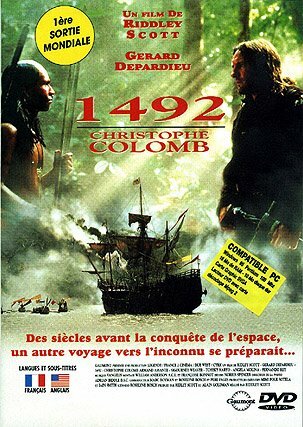 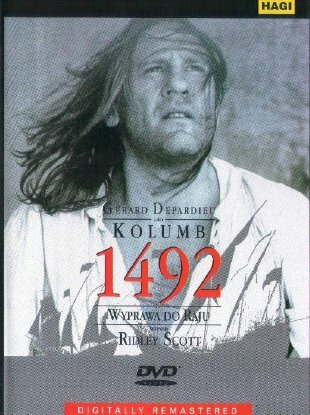 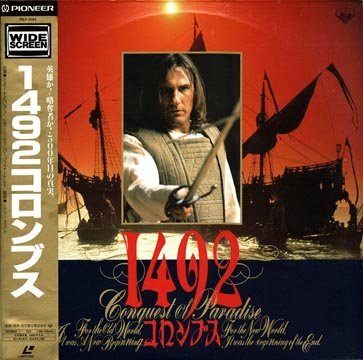 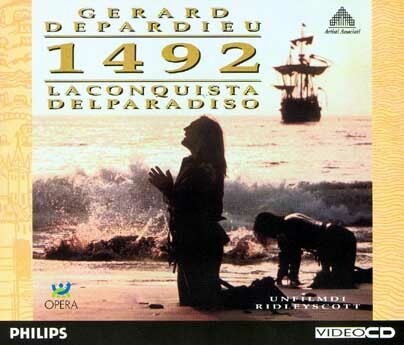 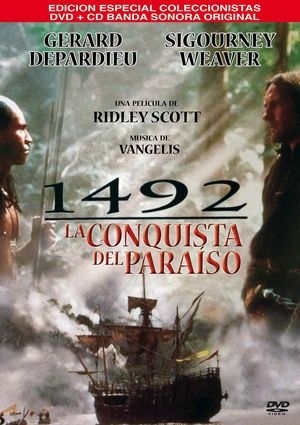 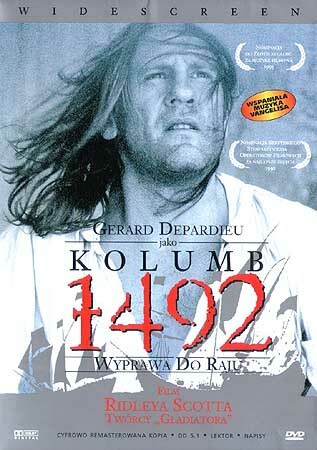 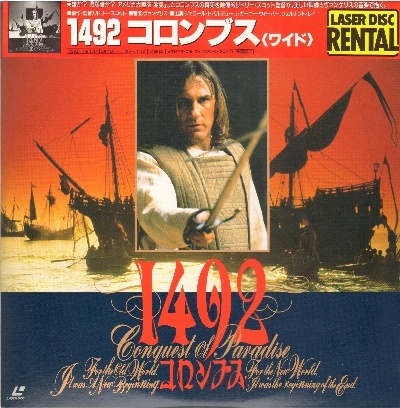 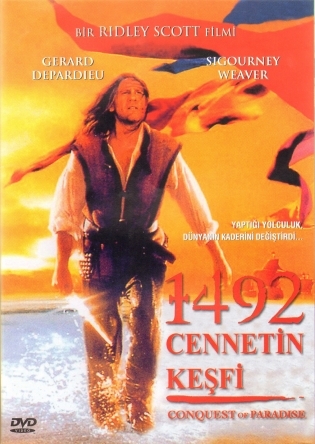 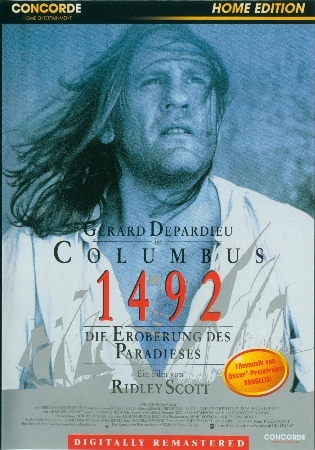 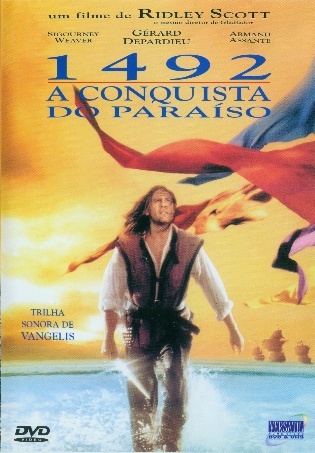 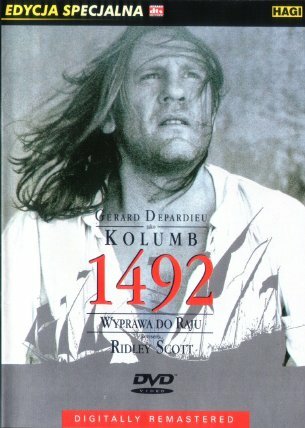 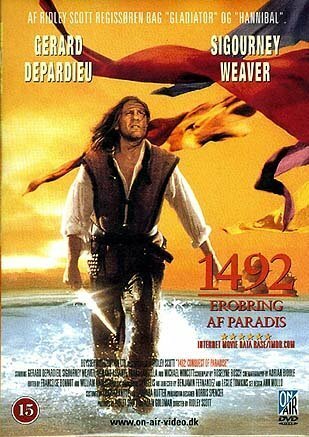 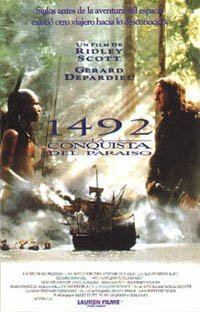 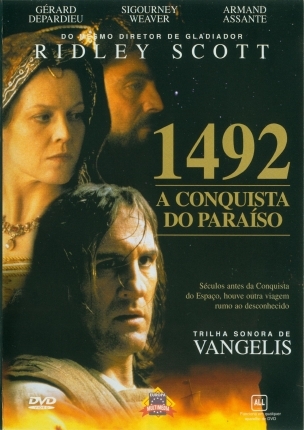 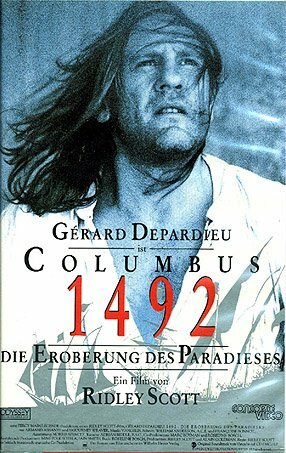 Titled "1492 A Conquista Do Paraíso", 2001, 1.33:1, NTSC, region 0, Dolby 5.1, as part of Brazilian magazine "Revista Do DVD No.5"